The port of Igoumenitsa is one of the largest ports in Greece and it is an important ferry gateway from Greece to Italy. Ferries depart from Igoumenitsa to Bari, Ancona, Venice, and Brindisi. Daily ferries connect Igoumenitsa to Italy during the whole year. Igoumenitsa is also connected to the Ionian Sea and is regularly connected to the islands of Corfu (Kerkyra) and Paxi. There are one or two ferries per day that connect Igoumenitsa to Ancona, Bari and Brindisi. The ferry connection from Igoumenitsa to Brindisi and Venice runs 2 or 3 times a week. As the ferry is the most popular way of bringing a car or caravan to Greece and returning it back, car tickets sell out fast. As most cabins and vehicles are sold out by April, if you are interested in catching a ferry from Italy to Greece (or vice versa) you should better book quite early! The ferry companies that operate this ferry route are Minoan Lines and ANEK Lines - Superfast Ferries and the ferry trip from Igoumenitsa to Ancona last 14-17 hours. During summer the ferry timetables get denser as there is usually a third ferry serving this route. The ferry companies that operate this ferry route are again Minoan Lines and ANEK Lines - Superfast Ferries and the ferry trip from Igoumenitsa to Venice lasts almost more than 24 hours. The ferry companies that operate these ferry routes Superfast Ferries and Grimaldi Lines and the trip lasts almost 9 hours. Igoumenitsa is also connected to the islands of Corfu and Paxi, with several daily ferries that run during the whole year. How do I get to Igoumenitsa? 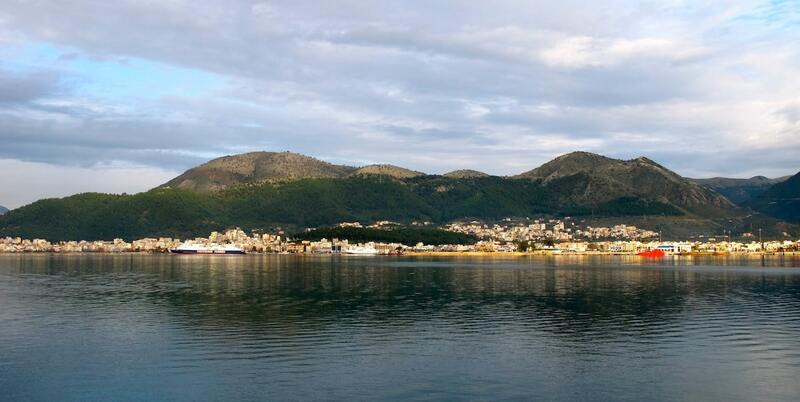 Igoumenitsa is located 470 km away from Athens and can be reached by car or with a coach. The most convenient way to get from Igoumenitsa to Athens is by car. The ride lasts almost 5 hours. Alternatively, you may get the coach (KTEL buses). In this case, the trip lasts almost 6 hours and 3 minutes. Getting from Igoumenitsa to Thessaloniki and Halkidiki is quite easy. The car ride from Igoumenitsa to Thessaloniki lasts 3 hours and 20 minutes while an extra hour is needed to get to Chalkidiki, resulting in a total ride of 4 hours and 20 minutes. If you would choose to travel with a regional coach, then the trip lasts 4 hours.